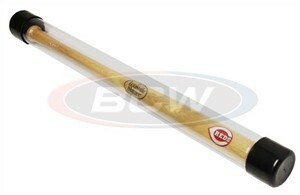 Clear plastic bat tube holder holds a regulation sized baseball bat. Has black rubber end caps. 2 3/4 inches in diameter, 36 inches long.